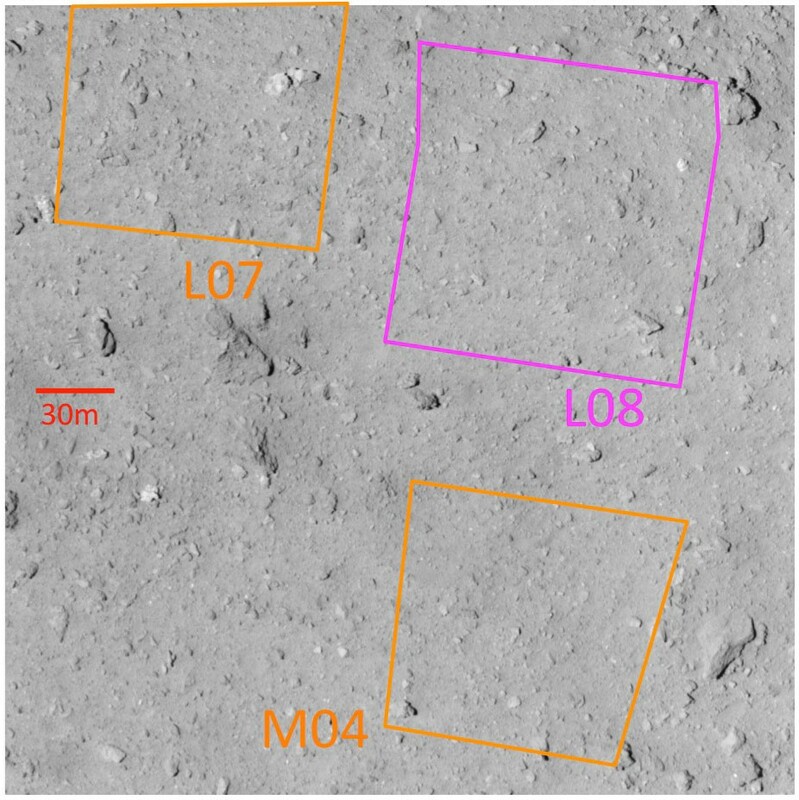 [Enlargement (left)] [Enlargement (right)] Figure 1: Image of the touchdown candidate sites taken from about 3km above the surface using the Optical Navigation Camera – Telescopic (ONC-T). 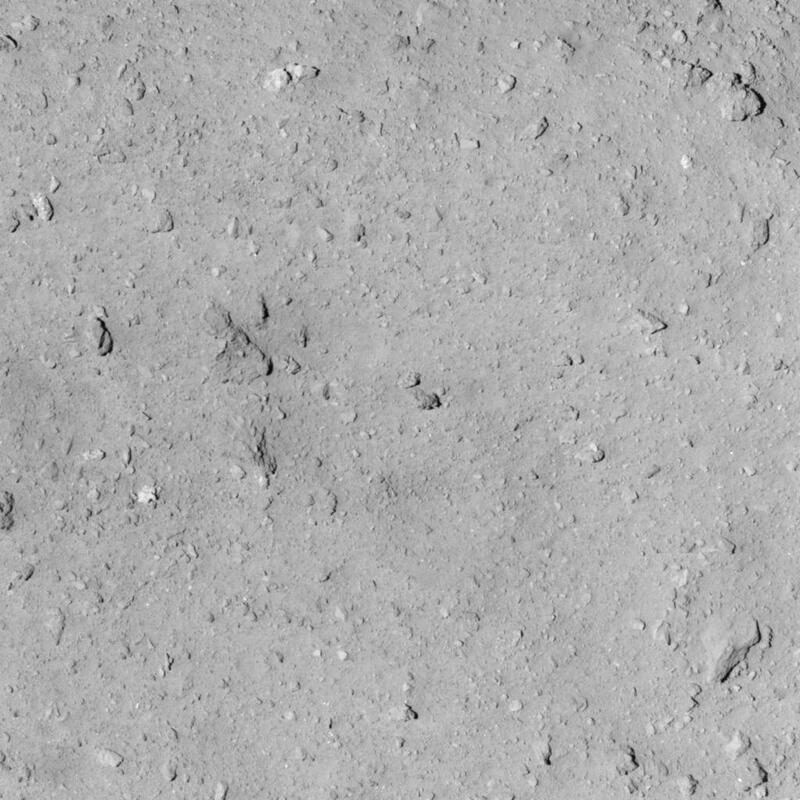 The image was captured on September 12, 2018 at around 06:00 JST. In the right-hand image, the approximate areas of the touchdown candidate sites are marked out.